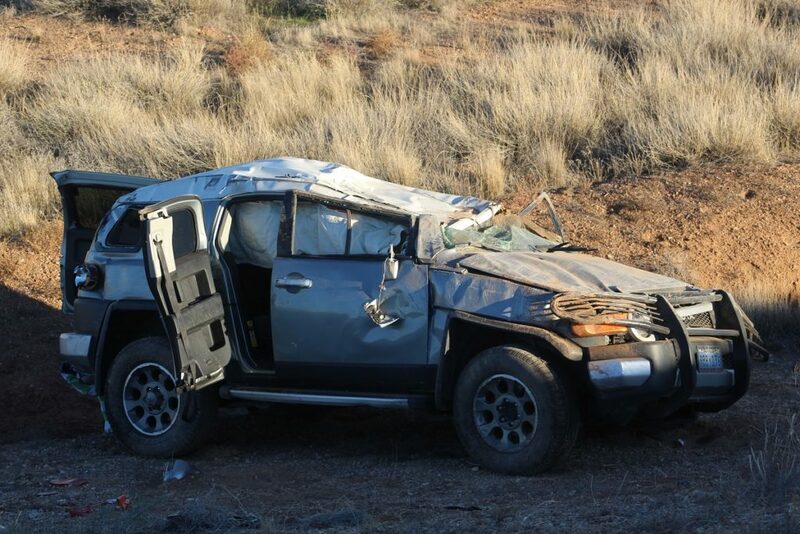 MOHAVE COUNTY, Ariz. — A rollover on Interstate 15 Sunday left five people injured, sent two cars down a ravine and kept emergency personnel busy for hours and traffic blocked in both lanes and backed up several miles. Just after 3 p.m., officers and emergency personnel were dispatched to a rollover involving two vehicles on Interstate 15 southbound near the Port of Entry in Mohave County, Arizona Department of Public Safety Trooper Tom Callister said. 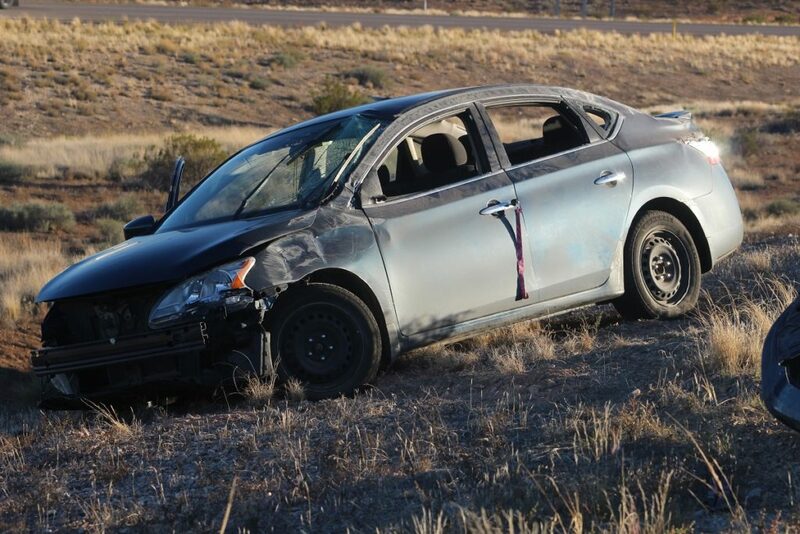 Once officers arrived they found two severely damaged vehicles – a blue Nissan four-door passenger car and a silver Toyota SUV – down a ravine off the right side of the interstate. The Nissan was approximately 20 feet from the roadway and partially down an embankment, while the Toyota was more than 200 feet down the ravine. Both vehicles had come to a rest in upright positions following the rollovers. As EMT’s approached the Nissan, they found a man who was injured and suffering from an unrelated medical issue. 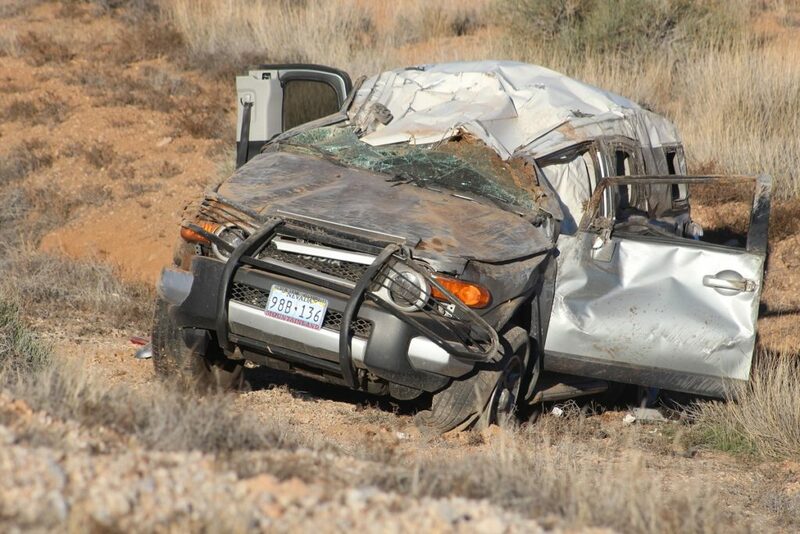 Once stabilized, the driver was transported to Dixie Regional Medical Center to be treated. 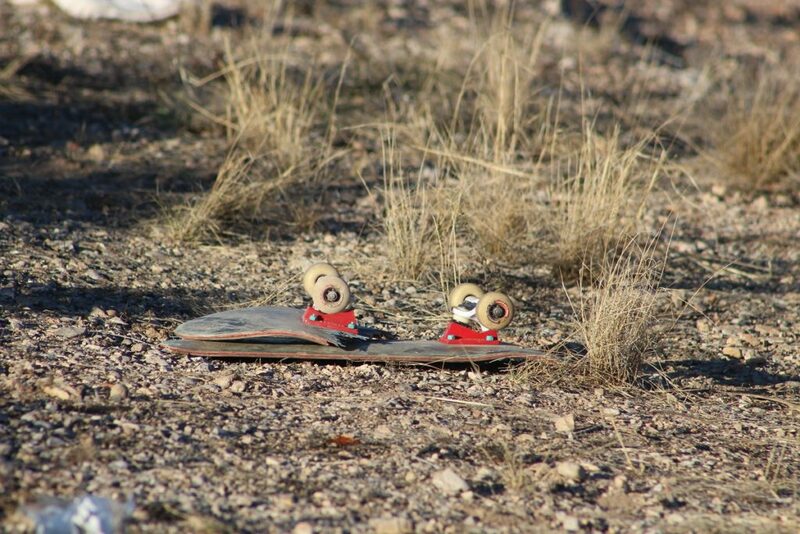 “It appears to be a medical emergency that caused the collision,” Callister said but was unable to give exact details. 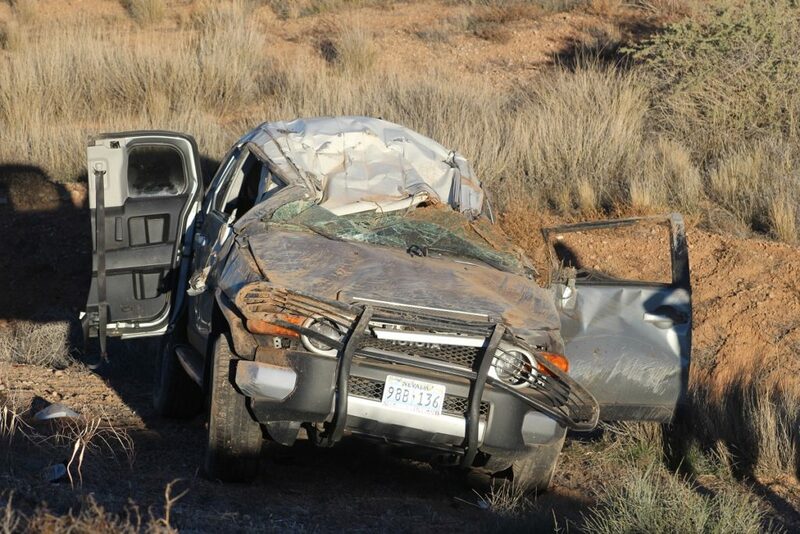 The four occupants in the Toyota were outside of their vehicle when officers arrived. 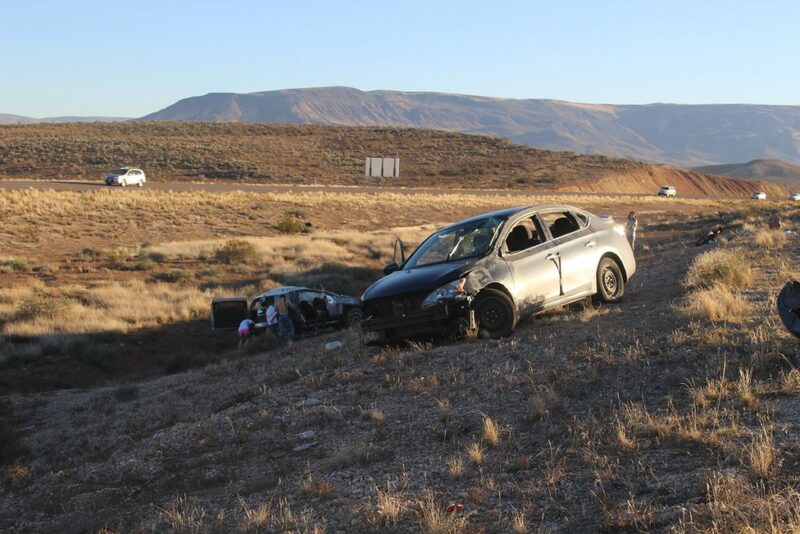 One woman who sustained a large laceration to her head was transported to the hospital along with another passenger who sustained injuries as well. “We had five people injured, and three were transported to the hospital, while the other two declined transport,” Callister said. 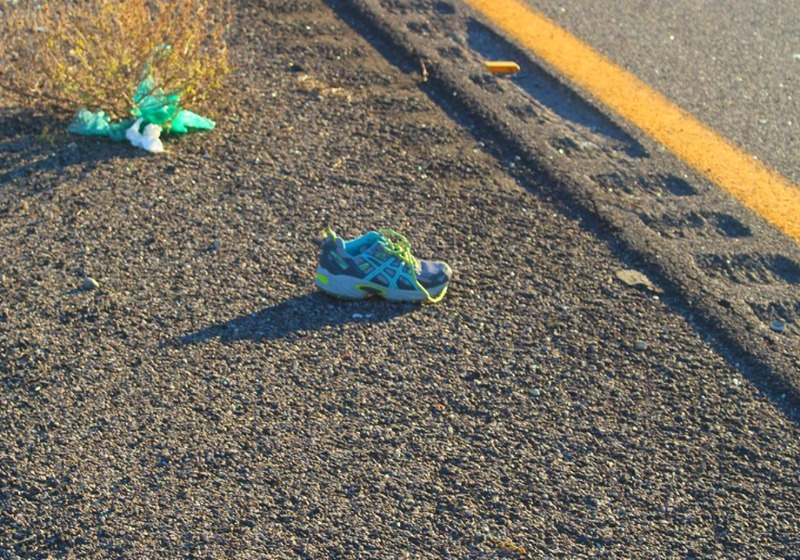 After speaking with witnesses at the scene, officers determined that the man driving the Nissan suffered some type of medical condition as he traveled south on Interstate 15, the trooper said, and at that point the Nissan struck the Toyota that was ahead of him in the right lane. The impact sent the Toyota on a sideways slide, which ultimately led to the roll that sent it off the interstate and down the ravine. The Nissan also rolled off the interstate. Callister said witnesses estimated that the Toyota rolled at least eight times, but he thought it could be more considering the distance and where the Toyota came to rest. According to the driver, Marcus Saunders, he observed the Nissan coming up behind him at a high rate of speed, and as the car moved into his blind spot, Saunders said he felt the Nissan hit his vehicle. Byron Helton, who was sitting in the front passenger seat of the Toyota, said every time the SUV rolled over, the top smashed down lower, and his main fear was getting crushed in the process. “I just can’t believe we are all alive,” he said. Both lanes of traffic were initially blocked. Once on scene, officers began redirecting traffic to the right lane, but by then it was backed up for several miles. Callister said there was one saving grace in the crash, which was the fact that everyone was wearing their seat belts at the time. 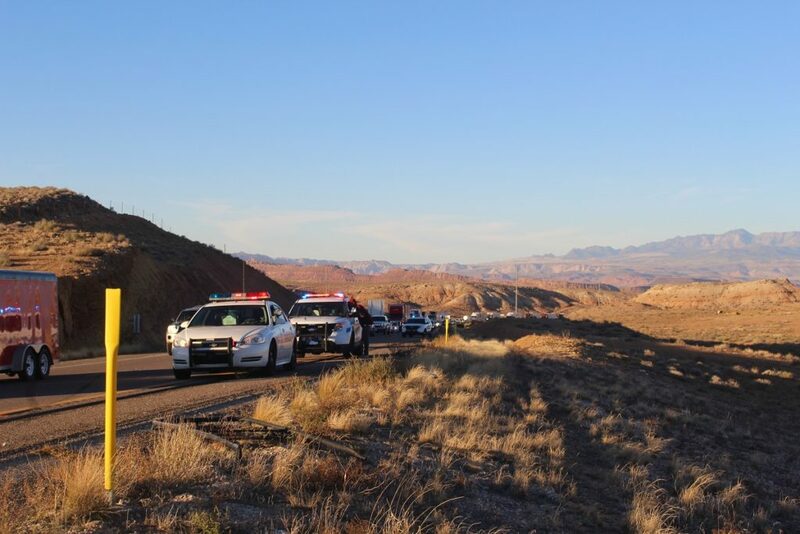 St. George Police, Utah Department of Public Safety, Gold Cross Ambulance, Beaver Dam/Littlefield Fire and Ambulance, and officers from the Port of Entry responded and tended to the scene. Well now that the elections are over we can spend more time reading about traffic accidents and seeing how many nice things RealLowlife says to me ! LOL ! 5:25 am? Good job Dumpster! Did you set your alarm to post this? We all know it wasn’t to get up for work. Get off the dope son, it’s done made you stupid. I decided to make a run for a powerball ticket and got caught in the traffic from this accident. I have to give kudos to the officials who kept the traffic moving, it only took 30 minutes to get through. Glad every one was wearing their seat belts. Come on powerball!! Good luck to your Powerball ticket. Thanks for reminding me to buy one.